recommend that a woman be charged with criminal offences. It is understood gardaí have established that money from Positive Action totalling far in excess of €100,000 was used by the woman for her own ends, unrelated to the work of the organisation. Garda sources said the level of spending involved was so high, and continued for such a prolonged period, that the investigation had not been able to conclude definitively where all the money went. While the suspect in the case has co-operated with the Garda inquiry which has attempted to trace all the missing money, the destination of some of it is still unclear. As well as the sums of money taken, a number of suspected cases of inflated or bogus receipts and invoices being generated for the purpose of fraudulently taking money from Positive Action’s resources are also being examined. The woman at the centre of the inquiry has been interviewed under caution but not arrested. She made herself available to the Garda and has fully co-operated with the inquiry. A HSE internal audit report running to 360 pages, which was finalised earlier this week, highlighted spending on items such as foreign travel, gifts, cards and band hire, which were first reported by The Irish Times in March 2012. It found that over a four-year period the organisation spent almost €777,000 on legal costs, €325,000 on weekend events, almost €104,000 on overseas travel and more than €100,000 on therapies, including angel card readings, crystal reading and spiritual healing, massages and beauty treatments. Other expenses included €19,450 on supermarket bills and gifts worth €2,223. A courier to transport dry cleaning cost €202 and dog kennels cost €185. Elsewhere, it said taxi costs totalling more than €33,000 were incurred between 2009 and 2013. 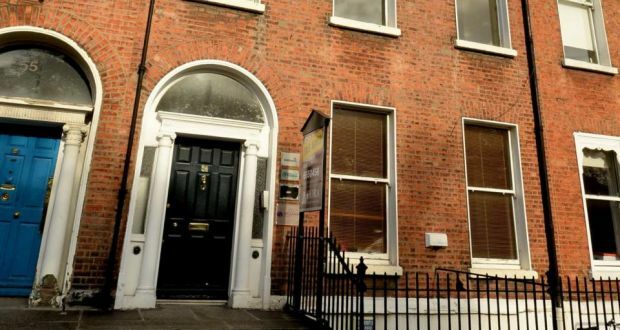 The HSE discovered in 2013 that Positive Action operated a second bank account, which contained more than €27,000 in public money at the time it was closed in March 2013, and a second credit card account, which was not made known to the HSE until July 2013. Official documents obtained by The Irish Times show Positive Action lodged €150,000 into an “investment account” in June 2011 from funding provided by the HSE in the same year. In August 2013 the HSE wrote to the organisation saying that it was “never indicated to the HSE that this ... funding was being held in a separate deposit account”. However, Positive Action maintained it had not deliberately withheld the bank account from the HSE, citing “an unexpected delay” in the bank closing the account as the reason why the HSE had not been informed of its existence. Positive Action said it had instructed the bank to close the account in December 2012 but this had not been done until March the following year. The organisation maintained that when it had informed the HSE in February 2013 that the money held in its current account was “the entirety of the cash balance available to Positive Action and there are no additional monies held in separate accounts”, it had done so as this was “our understanding of the position at that date”.